Sunday 2nd December: in Christ Church Cathedral at 4pm at a service for people who have lost someone to suicide to allow them to come together with others just before before Christmas. People will light candles in remembrance and put white ribbons on the railings. The service sheet has been prepared with the Suicide Prevention Resource Centre on John's Hill. The Trinity Gospel Choir will also sing. 22nd: The Harbour Festival takes place over the weekend at Dunmore East and we will be performing there on the Saturday. More details later. Later on in the evening we will be entertaining the diners at Bellissimo's Restaurant on the Dunmore Road. Bellissimo are presenting “A Taste of Waterford”, celebrating the local produce of the land and the sea. The evening will be casual and light hearted, you can enjoy some classic dishes etched by the region we live in and the seasons that prevail. weekend 24-26th: Cape Clear Island, fundraising for Baltimore RNLI and performing in the pubs. The highlights will be two performance in the Church, on Saturday afternoon and at mass on Sunday. It should be a great weekend. Monday 7 May: We will be over at the Hook Lighthouse performing at The Shine a Light Festival in the afternoon. Sunday 22nd April: The Irish Kidney Association are organising a fund-raising event in the Waterford Golf Club from 7.30-9pm and there will be a number of performers. We were only too glad to oblige when asked to sing by John Meade. Saturday 21st April: The Dungarvan Food Festival takes place every year in April and it is usually a wonderful treat of food, stalls, people and events. We are delighted to be part of the Festival again and we will be singing at 12.30. See you there!! We will be singing in the Book Centre, in the heart of Waterford City at 12 midday on Saturday 17th February, up on the first floor area, so why not grab a coffee and a book and listen to us singing a few shanties. And you can buy our new CD, Seahorse, which will be on sale in the Book Centre. We are performing at the Hook Lighthouse Heritage Centre on Friday night, 22nd September, where the second annual Harvest Moon Celebration takes place as part of the national Culture Night activities. Our first performance will be around 5.30 outside at the BBQ and we will probably have another performace later. 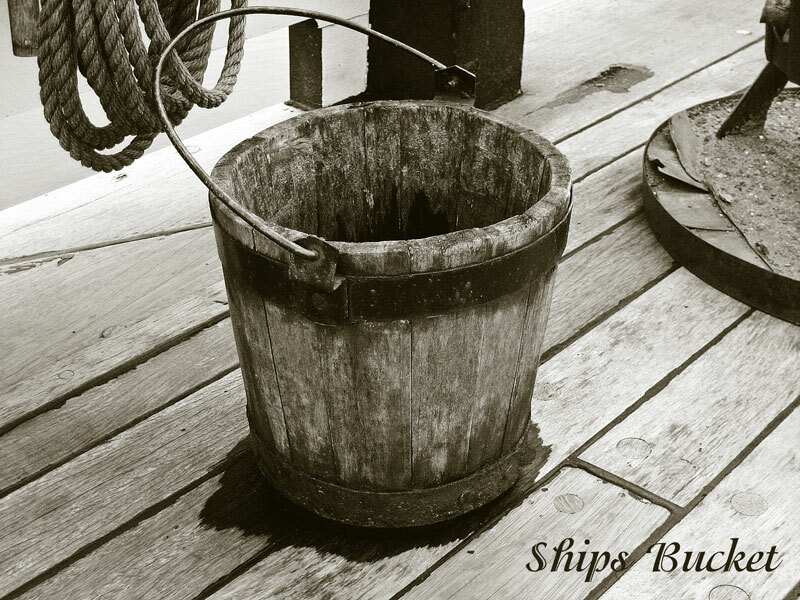 See the September listings at the Hook Lighthouse website for all the details. 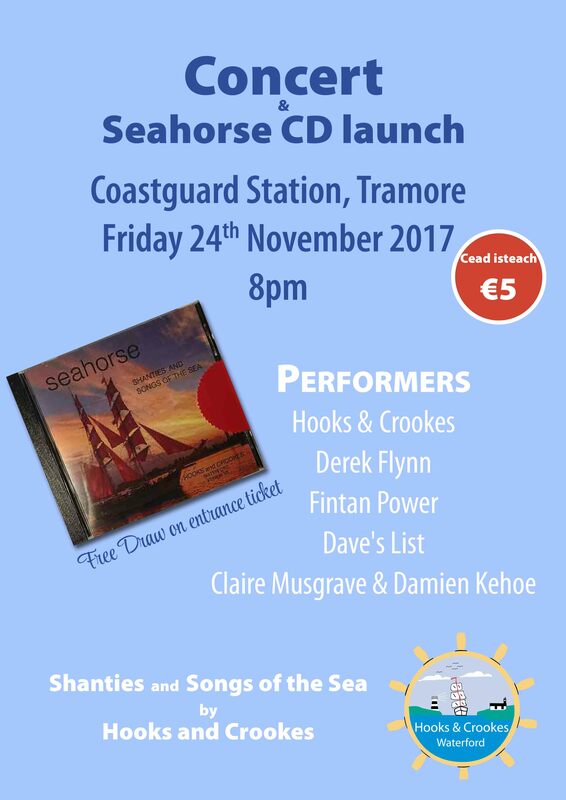 We will be launching the new Hooks and Crookes CD, Seahorse, at Hook Head on the 22nd September and probably later too in Tramore (more details later on the Tramore launch). 26th-28th: The annual fund-riaisng event for the RNLI in Baltimore takes place on Cape Clear Island over the weekend. Hooks and Crookes along with the Molgoggers from Cobh are participating in this very worthwhile event. Seascapes is a radio programme broadcast every Friday night on RTE Radio 1, from 10.30-11.00 pm, which deals with all maritime issues. 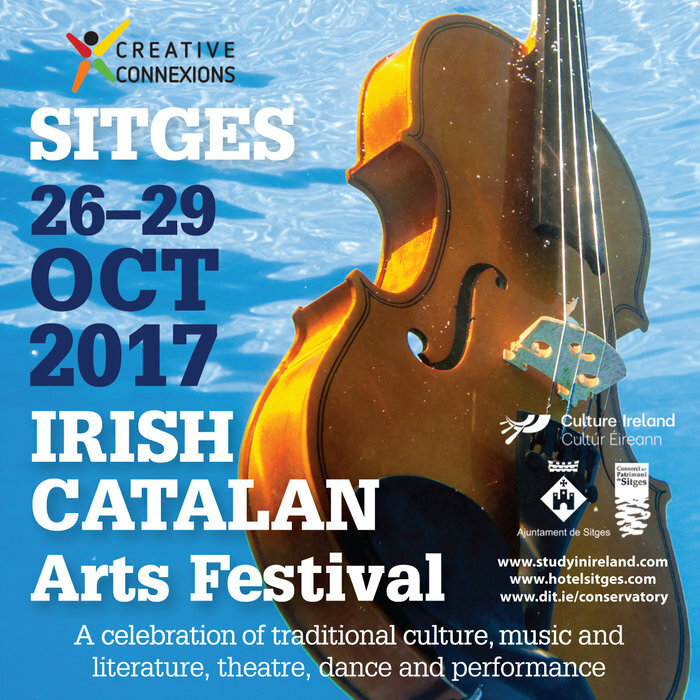 It is now produced and presented by Fergal Keane (Marcus Connaughton, a great supporter of Hooks and Crookes, retired in June 2017). You can find more information on this wonderful programme by clicking the link Seascapes. Podcasts of previous programmes can also be listened to there.